No changes whatsoever have been made to my system in recent times, it just started to show up out of the blue. I have tried version 1.50 and beta 1.52 and both have the same problem. I have tried deleting the pictures from my "%userprofile%\appdata\roaming\microsoft\windows\account pictures" folder and creating them again, with no luck. I opened a ticket about this (ISJ-906-44953) but I can't login into the Stardock ticket system. When I first posted the ticket I was assigned a password, which didn't work. I tried resetting my password and after creating a new one, the system wouldn't let me log in (wrong email or password). As a last resort, I tried to create a new account using the same email address but it was rejected since that email was already in use. Oh well. Could anyone take a look at this? Thank you. 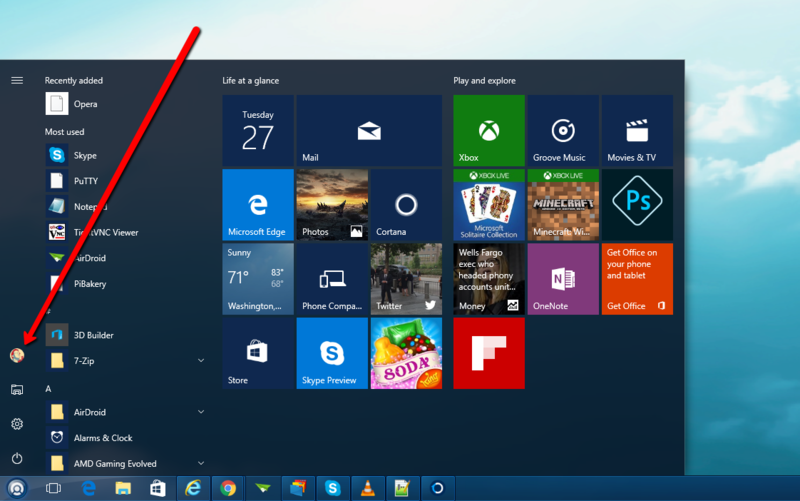 What version of Win10? Insider? 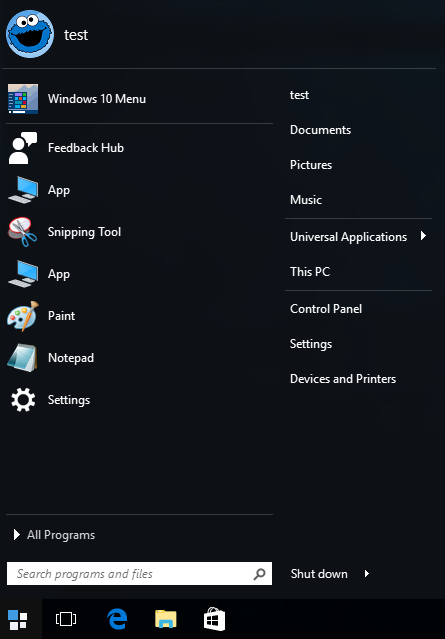 What do you see when you use the Windows 10 style (default) menu? I'm using regular Windows 10 Professional x64. So are you guys going to look into this anytime soon, or should I just buy a copy of StartIsBack? Have you changed anything about your account recently? Is it a local account, domain account or Microsoft online account? Because you placed it on a weekend... It takes some time to catch up from those no-work days for us. Since the Windows 10 style menu shows my picture correctly, I don't see why the modern style that I prefer to use can't. Fair point, but I placed it on a Sunday, and it's Wednesday today. I just uninstalled Start10 completely, removed all remaining files from my profile folder and cleaned all Stardock and Start10 entries from the registry. After that I rebooted my PC, and the regular Windows menu showed my account picture perfectly. I reinstalled Start10 after that and the black account picture is still there. Can you post a link to your user picture here? So you guys are closing my support tickets now. Nice. And what exactly have you done to consider the issue closed, if I may ask? I think the support system considers tickets closed if they have not had a reply within X days. Regarding your issue, the PNG image worked fine here so it isn't a problem with the image itself. Clearly something has changed on your setup which has stopped it working at all as it was working and as you say nothing should have changed. For the 1.53 update we can modify Start10 to detect the image is fully black and swap to the default in that scenario. In the short term you could switch to the non user icon version of the modern theme which would hide the icon for now until we do an update. So unless you prove to me that the problem is on my end, my money is on this being as a bug in your software, and not user error. In the meantime, can't you add a custom account picture option, like the guys at classicshell did with their start menu replacement? If it fails to load it suggests the image has been deleted by something. I would be curious to know if the file remains there or not and if you can read it. You will then need to sign out and sign in again. Now, regarding my current account, I looked for those pictures and they were indeed not there. So I proceeded to convert my PNG account picture to BMP and stored a copy in C:\Users\YOURUSERNAME\AppData\Local\Temp\YOURUSERNAME.bmp and another in C:\Users\YOURUSERNAME\AppData\Local\Microsoft\User Account Pictures\user.bmp, as you suggested, and performed a reboot. And it worked! But here is where this gets interesting again: it only worked the 1st time I clicked on the Start10 menu. The 2nd time, it showed the black picture again, and it won't show my account picture again until reboot/re-logon. So I promptly opened an explorer window to see if the pictures I had just copied were still there, and to my surprise they are, both in Local/Temp and in Local/Microsoft/User Account Pictures. As I told Sean via email, this is a recent install of Windows and the only big recent update this system has seen is the anniversary update, but Start10 was working perfectly after that. And to be on the safe side, I ran the sfc /scannow command and that didn't help either. I'm going to try and take a screen recording to illustrate this new issue I mentioned above. I also have this same issue. Any resolution on this? Ken, there are a few suggested fixes here (Neil's and creating a new admin account for a couple). What have you tried and see fail? I have tried everything suggested so far. I also see the C:\Users\YOURUSERNAME\AppData\Local\Temp\YOURUSERNAME.bmp file. I try replacing it with another but Start10 keeps replacing it. My issue is slightly different but the same. My user profile does not have ANY picture associated with it. In EVERY Window 10 setting/screen you can see there is no picture associated (which is correct). You only see the standard silhouette character. And when I see Start10 "Windows 10" style it is also correct. But if I set it to "Windows 7 Style" or "Modern Style" it displays a picture. Where does Start10 get this from? My "%userprofile%\appdata\roaming\microsoft\windows\account pictures" is empty as expected. 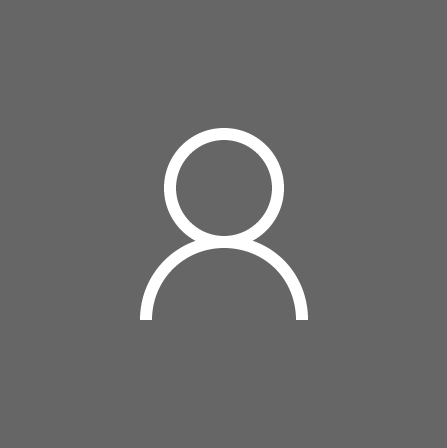 My "C:\ProgramData\Microsoft\User Account Pictures" has the default pictures. My "C:\Users\YOURUSERNAME\AppData\Local\Temp\YOURUSERNAME.bmp" keeps showing up (wrong picture). If I try replacing it with say C:\ProgramData\Microsoft\User Account Pictures\user.bpm (but renamed to my account name.bmp). It keeps getting replaced. So, Start10 must be getting this from somewhere?? Can you tell me where the program looks (disk or registry) and I can see if I can find it? My issue is slightly different but the same. My user profile does not have ANY picture associated with it. 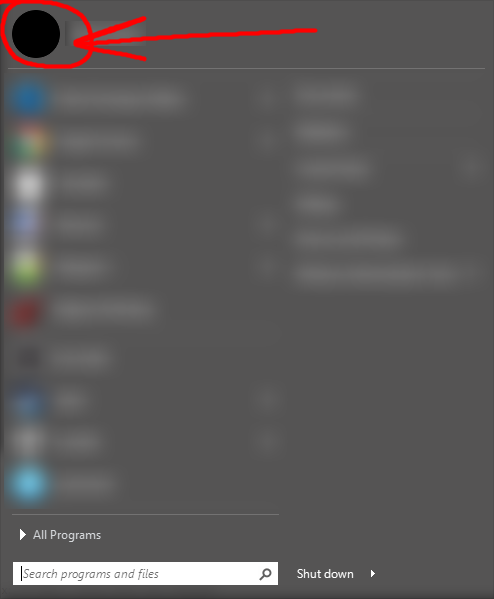 In EVERY Window 10 setting/screen you can see there is no picture associated (which is correct). You only see the standard silhouette character. And when I see Start10 "Windows 10" style it is also correct. 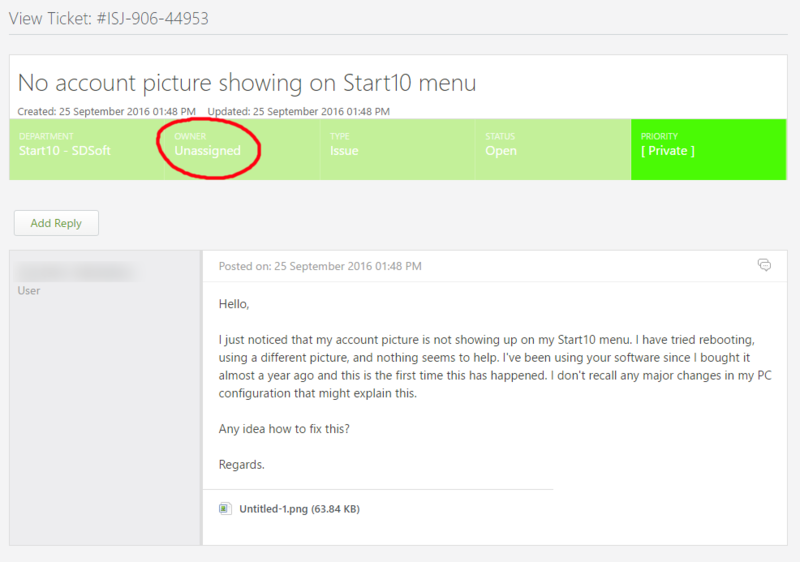 I guess I am confused, ken - You do, or do not, want the picture to show for any of the Start10 menu styles? My account does NOT have a picture associated with it. But Start10 is displaying a picture in those modes. So I do not want a picture displayed because there should be one..